November 1, 2011 December 22, 2016 Wallace Bishop I.N.H.C, C.N.C. Your Lifestyle Is Your Choice, Choose Healthy Foods and Exercise! If you do not think diabetes can be reversed, I am here to tell you from personal experience it can be. I know many people that have reversed their diabetes totally. I was once diabetic and I am no longer! America has more diabetics than any other nation in the world by percentage. It has to be our lifestyle. The highest prevalence of diabetes are found in North America (9.2 percent) and Europe (8.4 percent). Diabetes mellitus (diabetes) is a feared and dreaded disease. It will rob you of your quality of life and can cut your life short by more than a decade. It is the leading cause of new cases of blindness, kidney failure and non-accident caused amputations among adults. In 2006, diabetes was the 6th leading cause of recorded deaths in America. If the rate of increase in diabetes continues, it is estimated that 1 in 3 Americans will have diabetes in their life time. In 2007 there were about 24 million people with diabetes and 57 million people with pre-diabetes. If there is one disease or health condition where diet and lifestyle changes can be effective at reducing the risk or even reversing it’s symptoms, it is diabetes ( type I excluded). The rate of diabetes in children and adolescents is growing at an unprecedented rate. In children it isn’t only type II diabetes that is increasing, an increase in type I diabetes is being seen as well. The war against diabetes has been active for over a decade however the numbers continue to increase. This parallels a similar situation in adverse health conditions in adults and the resistance to eat more servings of fruits and vegetables. In 2008, surveys showed only 11% of adults ate the minimum of 5 servings of fruits and vegetables per day and the percentage of disease and adverse health conditions caused by diet and lifestyle was more than 70%. Children and adolescents learn from their adult family members so these figures for children should not shock us. There are different types of diabetes. The three metabolic and genetic types are, type I, type II and gestational diabetes. Diabetes can also be caused by medical complications or pharmacological interactions. Prediabetes is defined as elevated blood glucose levels, however, not at a level high enough to be classified as diabetes. A normal fasting blood glucose reading is below 100 mg/dl. A person with prediabetes has a fasting blood glucose level between 100 and 125 mg/dl. If the blood glucose level rises to 126 mg/dl or above, a person is classified as diabetic. Prediabetes can raise your risk of heart disease and stroke by 50%. If you are overweight, your risk of developing diabetes or metabolic syndrome is increased greatly. Excess weight is a contributing factor, the extra abdominal fat increases insulin resistance. If you don’t get some of the excess weight off, it is just a matter of time before you develop diabetes and potentially metabolic syndrome. 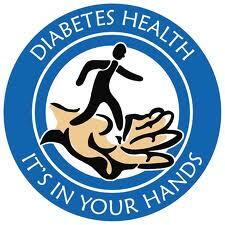 We know that diabetes causes great harm to the body if not controlled. What do you think is better for your health, controlling your diabetes with medication or by diet and lifestyle? Medications have adverse side effects, some of them quiet serious. I think this is a simple answer. Pharmacological drugs are foreign and treated as such by the body. Vegetables, fruits, beans, whole grains, nuts and seeds are natural and are the giver of life’s energy to the body. They bring about balance and harmony to the body’s organs and systems. These are my recommendations for preventing diabetes and even reversing diabetes. My opinions are based on science and practical clinical experience. I was once diabetic and I have helped many diabetics become symptom free. This is really very simple. For most people these suggestions will offer amazing results. Eat more plant based food, the more vegetables you eat the better your results may be; all vegetables (except white potatoes), low sugar fruits, whole grains, beans and nuts and seeds. Fill half your plate with vegetables such as broccoli, cabbage, peppers, fennel, radishes, celery, kale, avocados, asparagus, spinach, carrots, sweet potato, winter squash, onions, garlic, beets and leafy green vegetables etc… at every meal. Eat 6 times per day. This helps keep you blood sugar stable by spreading out your food intake in smaller amounts. At least 1/2 of your vegetables need to be raw for optimal nutrition. Eat more high fiber foods, their fiber slows the absorption of their natural sugars. Remove as much bread and cereal from your diet as possible. Only Ezekiel bread is recommended and no more than 2 slices per day. Eliminate all grains except oats, wild rice and quinoa. Even whole grains can create a quick rise in blood sugars. Wheat can make insulin resistance worse. No more than a total of 4 servings of grains per day. They create cravings by raising blood sugar. Eliminate sugary drinks, soft drinks, caffeine drinks and fruits juices from your diet. Eliminate all dried fruit from your diet. Eat only fresh or frozen berries, apples, plums, peaches and pears. Only 2 to 3 servings of fruits per day. Coffee, even decaf will make diabetes worse. Be aware that milk and yogurt contain lactose, a type of sugar in milk. 8 ounces of milk has about 11 grams of sugar. I recommend unsweetened almond milk, it has 0 sugar. It taste great! Eliminate fried foods, the extra weight they pack on adds to insulin resistance and in addition they can cause heart disease. Understand your calorie needs. Use our calorie calculator to know how many calories a day you should be eating. If you need to lose weight use the weight you want to be as the weight in the calculator. If you are more than 50 pounds over weight reduce your calories by an extra 10%. However never eat less than 1200 calories per day. Learn and use the glycemic index and glycemic load. Avoid simple carbohydrates. Complex carbohydrates are great fuel for the body. Aim to get 50% to 60% of your daily calories from complex carbohydrates, 25% to 35% from heart healthy fats and the balance from protein. Avoid foods with more than 7 grams of sugar per serving. Exercise for at least 30 minutes or more, five days per week. Work up to 1 hr. per day as a minimum. Exercise forces cells to use glucose (blood sugar) for energy. Always check with your doctor before beginning an exercise program. Eliminate as much refined flour and processed foods from your diet as possible. This means, chips, cookies, crackers, pastries, candies, pre-prepared foods like TV dinners, and the rice or pasta already spiced and flavored. Reduce your intake of processed animal foods as much as possible and red meats to no more than once per week. However, eliminating most processed animal foods from your diet will show the quickest results. Lose weight. Just a 5% drop in weight can make a big difference in your blood glucose readings. If you smoke, please stop. Alcohol is another form of sugar, eliminate it as much as is possible. Complements or supplements you may wish to consider to help manage diabetes symptoms. 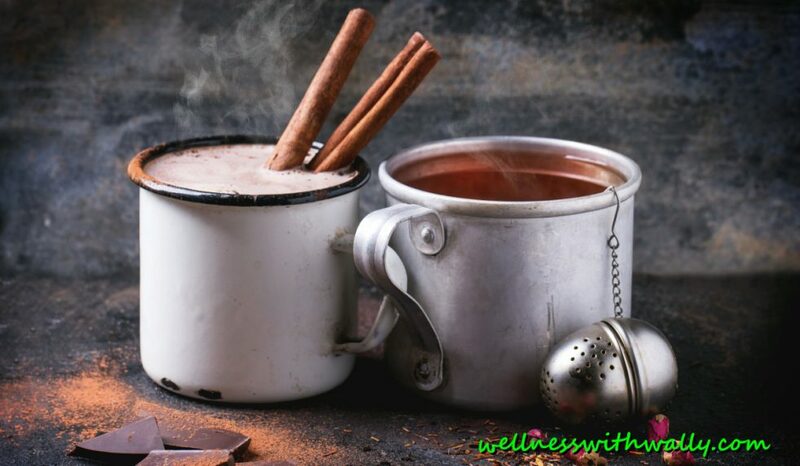 Cinnamon; some studies have shown that 1 gram a day (1000 mg) or more for at least 6 weeks helped to lower blood sugar levels. Apple cider vinegar (Braggs raw organic) is a very powerful food and supports healthy blood sugar levels. Gymnema sylvestre (GSE) is an herb that helps move sugars into cells for energy thus improving both type II and type I diabetes. Studies have shown it to be very effective. Viveshake is formulated with foods that help support health blood sugar levels. The results from studies show that diets rich in vegetables, low sugar fruits, whole grains, beans, nuts and seeds give the strongest opportunity to prevent and reverse diabetes. Studies show that diets rich in animal proteins raise the risk for diabetes. How do you think a vegetarian diet fared when studied for its benefits? According to a report submitted by Clinical Nutrition & Risk Factor Modification Center, St Michael’s Hospital, Toronto, Ontario, Canada and published in PubMed states; “The vegetarian diet, therefore, contains a portfolio of natural products and food forms of benefit for both the carbohydrate and lipid (fat) abnormalities in diabetes. It is anticipated that their combined use in vegetarian diets will produce very significant metabolic advantages for the prevention and treatment of diabetes and its complications. How about a vegan diet compared to the American Diabetic Association’s recommended diet? I have inserted below, excerpts from another trial study report by the Physicians Council for Responsible Medicine on this very question. Working with Georgetown University, we compared two different diets: a high-fiber, low-fat, vegan diet and the more commonly used American Diabetes Association (ADA) diet. Both groups did an overall great job in adhering to their prescribed diets. However, the vegan group clearly had the edge in many of the results. Fasting blood sugars decreased 59 percent more in the vegan group than in the ADA group. And, while the vegans needed less medication to control their blood sugars, the ADA group needed just as much medicine as before. The vegans were taking less medicine, but were in better control. While the ADA group lost an impressive 8 pounds, on average, the vegans lost nearly 16 pounds. Cholesterol levels also dropped more substantially in the vegan group compared to the ADA group. Diabetes can cause serious damage to the kidneys, resulting in protein loss in the urine. Several of our subjects already had significant protein loss at the beginning of the study, and the ADA group did not improve in this respect. In fact, their protein losses actually worsened somewhat over the 12 weeks of the study. The vegan group, on the other hand, had a large reduction in protein losses. If you really want to be blown away by the power of the vegetative food world watch this video, it is amazing what they accomplished in 30 days. This is a long video. If you are overweight, are pre-diabetic or diabetic I highly urge you to take the time to watch this film. I am not saying you must do this for diabetes, just that it will offer amazing information on the healing power of food. These suggestions also help with type I, insulin dependent diabetes, gestational diabetes or other medically caused diabetes. For type I and insulin dependent diabetics these suggestion can lower the number of units of insulin you may need daily. With even small changes you can drastically reduce your risk of developing diabetes. Give your life extra years of enjoyment and a better quality of life by avoiding this dreaded disease. If you have loved ones, encourage them to make appropriate changes for a better and longer life. Next Post Quick 3 Day Holiday Cleanse!